Day 26, Inventory of Rio Suerte S.A.
Rio Suerte SA The company, located in Guatemala, has as main objective the exploration and exploitation of alluvial or placer gold. 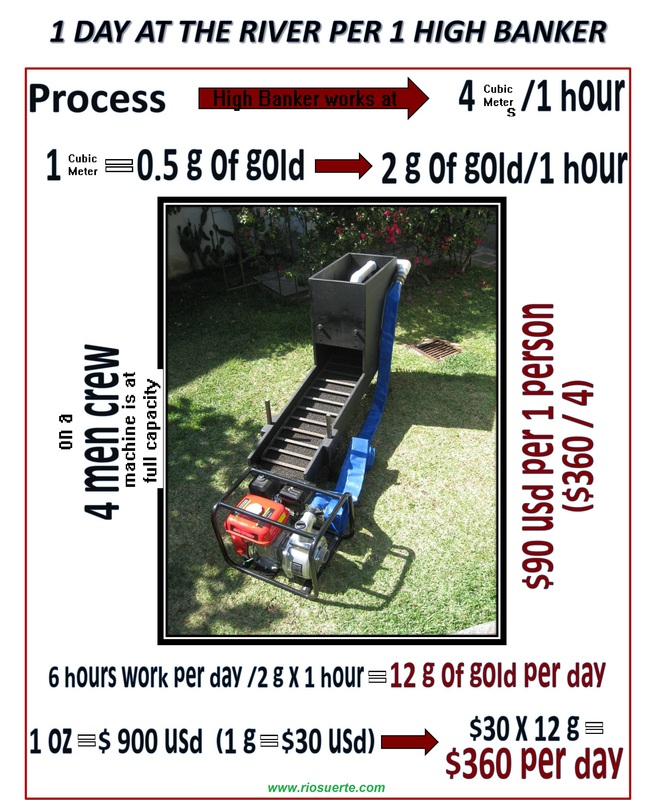 It also has other objectives as helping people living in the villages on the banks of the river so that they themselves can draw their own gold using machines made ​​in Guatemala for this purpose, objectives and targets to be discussed later. For now we will work to raise awareness of the resources available to the company to work on the project in the Motagua River David I. 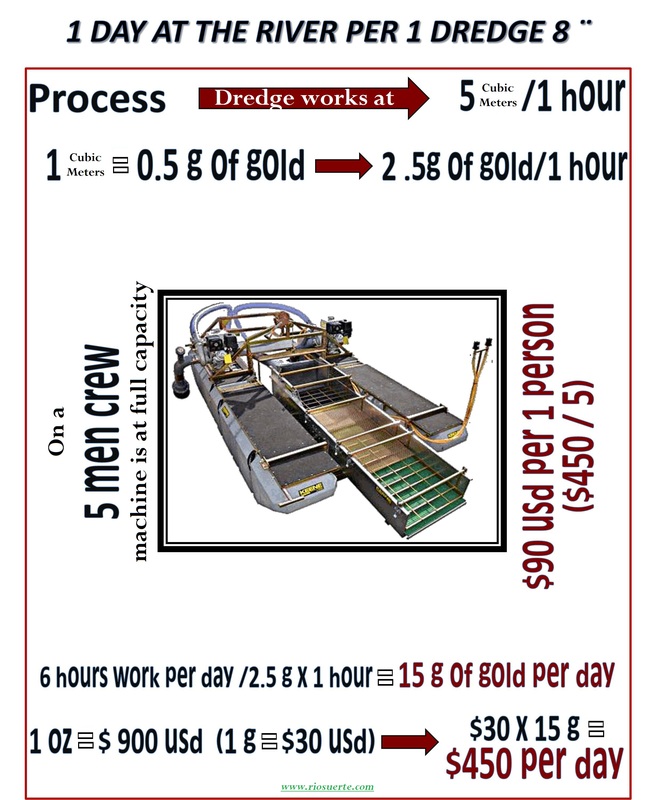 The amounts shown here are only using the system of the sluice box dredge, without using the full equipment which has the capacity to 19.11 cubic meters in full operation, this due to the condition of the Motagua river.